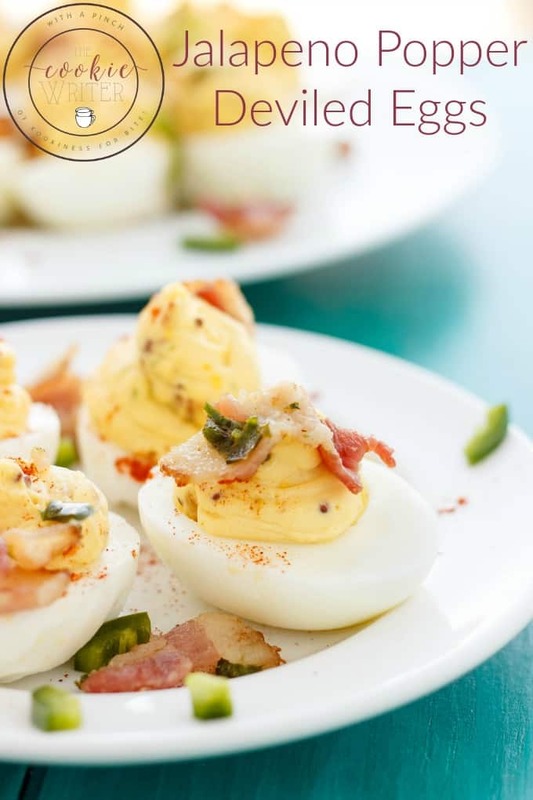 Don’t let those painted eggs go to waste when you can make these jalapeno popper deviled eggs! Omit the bacon and you have one awesome vegetarian appetizer. But hey! 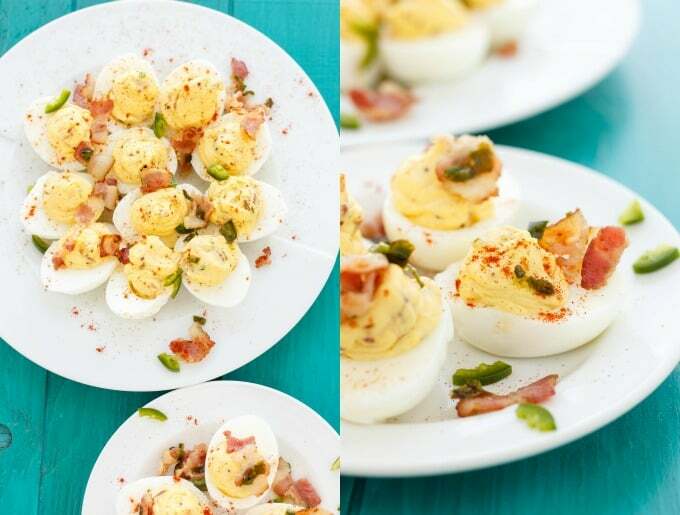 With all the craziness I still managed to create these jalapeno popper deviled eggs that I have had my eye set on since I first began thinking of Easter creations. Lots of hard boiled eggs are made around this time so kids can paint them, but you can only eat so many before going nuts. Actually, I have already made another post about hard boiled eggs on Julie’s Eats & Treats: sour cream, chive, and bacon deviled eggs! You can read all about my struggles peeling those darn eggs. And it was no better this time. ARRRGGG. I can make a beef wellington but I cannot peel hard boiled eggs!!! Ramp up that egg painting game because now I have not only provided you with one awesome deviled egg recipe, but a second one in the matter of days! Cannot wait to share the other creation on the blog, but for now, enjoy it early over at Julie’s Eats & Treats! You can easily omit the bacon to make this recipe vegetarian! Slice the bacon and dice the jalapenos. Add the bacon to a medium-sized frying pan over medium-high heat. Stir in the jalapenos and garlic. Cook until bacon is nice and crispy. Remove and drain on paper towel. Reserve one tablespoon for garnish if desired. Scoop the egg yolks into a medium-sized mixing bowl. Mash with fork. Mash in cream cheese, followed by the mayo and mustard. Stir in bacon mixture. Taste and add salt and pepper. Place filling into a piping or sandwich bag and snip off the corner. Pipe into egg whites until no mixture remains. 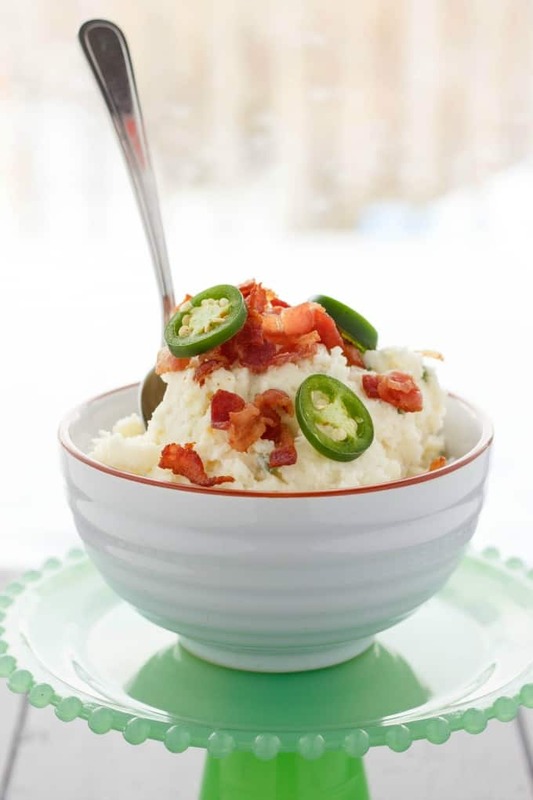 Garnish with paprika and and leftover bacon or jalapenos if desired! Chill in the refrigerator, covered, until ready to serve. That’s it for Easter recipes from me! I am in charge of baked goods for my daughter’s class on Thursday so I am going to focus on those. I do plan to share them with you but that will definitely have to be after Easter! Always a fun appetizer to have out! 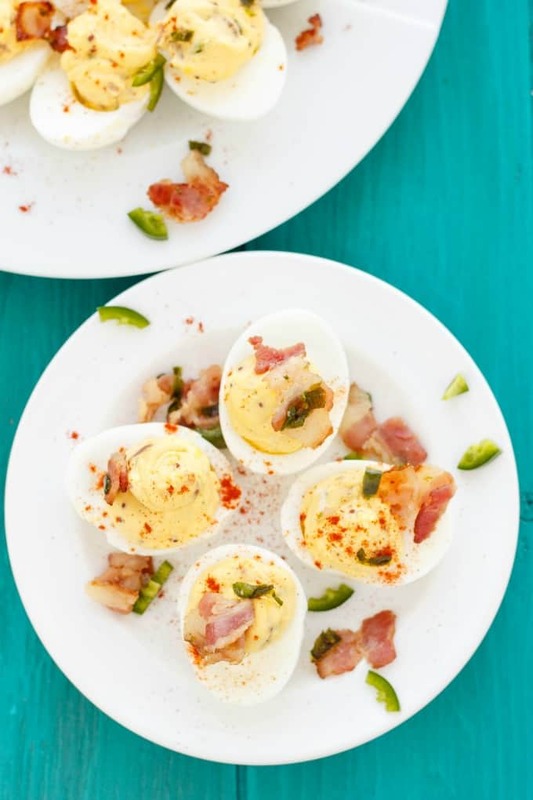 These deviled eggs ,look fantastic! Perfect use for all those Easter eggs next week! Oh my gosh! I love the sound of these deviled eggs. Keep the bacon on for me. This is a really smart idea! I would love to try! I'm sure this appetizer would impress a bunch of guests. Thanks for sharing! I can almost taste these - that is an awesome flavor profile for deviled eggs! I definitely want to make these from our colored eggs this year. That's my kind of Deviled Egg! I am on a serious jalapeno kick right now!! Perfect! What's not to love about deviled eggs? Um, nothing. I love them in every way possible, and the addition of the peppers here is another great option. Yum! Deviled eggs just got better. And hotter. Just what you'd expect from the name "Deviled" eggs. Oh MY! 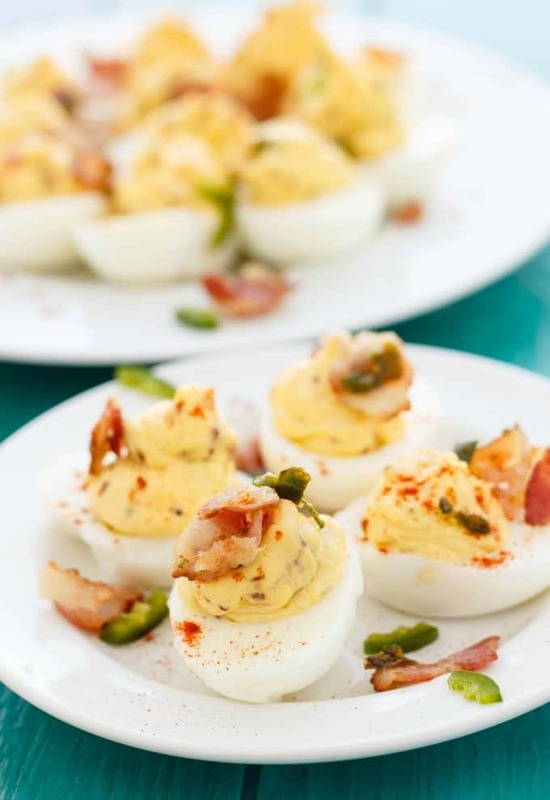 What an awesome twist on deviled eggs! !